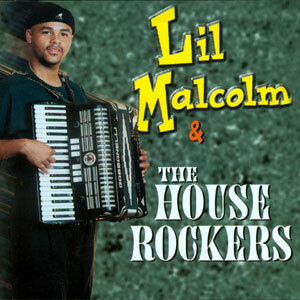 Hailing from the Zydeco hotbed of Lake Charles, Louisiana, Lil’ Malcolm & The House Rockers personify two closely related terms: family and tradition. This five-man band centers on guitarist Percy Walker and his two sons, drummer Percy Walker, Jr. and accordionist Lil’ Malcolm Walker. Lil’ Malcolm began playing drums and rub-board in his father’s band when he was just seven years old. Now 29, Malcolm is considered one of the hottest young accordionists on the national Zydeco circuit.Inspired by Zydeco legends like Buckwheat Zydeco and Rockin’ Dopsie, the band’s steady focus on tradition sets them apart from the newest wave of “pop Zydeco” bands. Percy Walker, Sr. began his musical career at an early age, learning to play the drums from his older brother Joe Walker. He soon moved to guitar, then bass, then accordion. Percy began playing in bands at the age of ten, even playing with the legendary Rockin’ Dopsie during his musical career. Eventually he formed a band of his own, Percy Walker & The House Rockers. Percy taught his children to play, much like his older brother taught him. The children shared Percy’s devotion and love of the music, and Percy was pleased to have young Zydeco devotees following in his footsteps. Even in their youth, Percy’s sons were anxious to start a band with their talented father. Soon the boys starting playing house parties and garnering great crowd reactions. When the diminutive Malcolm started a group, he chose the name of his father’s band. Lil’ Malcolm & The House Rockers was a name that instantly reflected the group’s emphasis on family ties, and on great music.